Certain rooms can really benefit from casement windows Montreal. By weighing the advantages and disadvantages, a smart homeowner may choose to use a casement window in a room. While casement windows aren’t the right choice for every room, there are certain aspects of their design that make them ideal for specific rooms. Below are some of the features, pros, and cons to consider for homeowners to make informed decisions on the selection of casement window replacement Montreal. What Are Casement Windows, and What Are They for? Casement windows have a sash (the moving portion of the window with the glass on it) mounted to the frame by one or more hinges. These windows are opened and closed with a crank; when fully closed, its sash pushes up against the frame creating a mechanically impinged seal. Casement windows open horizontally, and generally what opens with vertical hinges is referred to as an awning window. One of the biggest reasons to get casement window replacement Montreal is the efficiency of the seal. Unlike sliders and awning windows, casement type press fit into their seals. Sure-fixed paned windows are technically more efficient, but they don’t open. Unlike most other window forms that need to be manually opened by directly raising or sliding the sash, casement windows are opened with a simple crank. This allows the user to open the window to the desired aperture size and keep it fixed even with a breeze. Although the summers aren’t too long and hot, it’s nice to be able to open casement windows Montreal on those hot July days and nights. Arguably the only window with more ventilation than a casement window would be a louver window, but the difference is very minute. Casement windows are more suited to Montreal since they can provide about as much airflow as the size of the actual window while still maintaining a seal to keep heat from escaping on cold winter days. Other window types require you to clean the external surface from the outside. Accessing windows above the ground floor can be challenging and dangerous. With casement windows you can open its sash to be fully perpendicular to its opening and easily clean both internal and external surfaces at the same time. Due to how a casement window is designed it is impossible to install a normal window mounted air-conditioner, the floating hinge prevents a proper seal. This isn’t really a concern for most Montrealers since summers aren’t too long or hot, the amount of airflow provided by a casement window may counteract this disadvantage. Storm windows and screens cannot be installed on the exterior of casement windows since the sash opens to the outside. Screens can be installed on the interior but exterior storm windows are quite impossible. Since storm windows cannot be installed on the exterior of casement types they may be vulnerable during violent windstorms that can hurl large pieces of debris at unprotected glass. Due to a casement window being able to open completely it does not receive structural rigidity from its sash. This is why most casement windows are smaller than other window types. Who to Contact for Casement Window Replacement Montreal? If you’re looking to replace a casement window (or any other kind of window) in your home, or to get one installed in general, Factory Direct Montreal provides a great installation service. 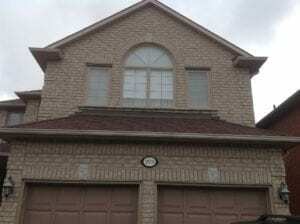 Their meticulously-tidy professional installers can complete any type of window installation. With a 25-year warranty on the windows and their installation services, you can be sure that your investment is as solid as their window frames. Casement windows aren’t perfect for every room in the house, but by installing them into select rooms you can allow for easier cleaning and greater ventilation. The kitchen is a popular room to have a casement window, since it’s easy to ventilate in the event something gets burnt. After considering which rooms would be ideal it’s a good idea to get casement windows Montreal for easy maintenance and maximum airflow.